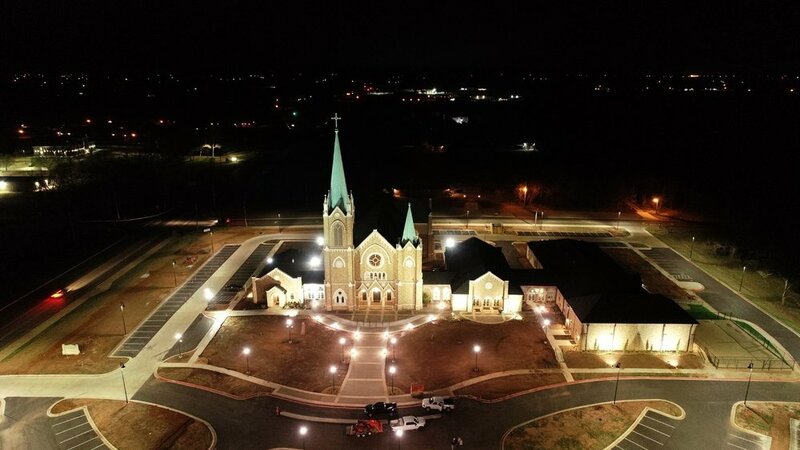 This new Catholic campus in the college town of Stillwater, northeast of Oklahoma City, was a collaborative effort between Franck & Lohsen Architects of Washington, D.C. and Hord Architects. The building is approximately 42,000 square feet including worship, fellowship, kitchen, administration, Christian education, youth spaces, and dayschool. The master site plan also includes a grand lawn, courtyards and a rectory. The Gothic Revival style was chosen because of its verticality, transcendence, universal appeal, and timeless symbolism of ecclesiastical architecture.